The SmartBar comes standard with our SmartDrawer for convenient, secure storage. The SmartBar features a slip-resistant tread to keep valuables from shifting. 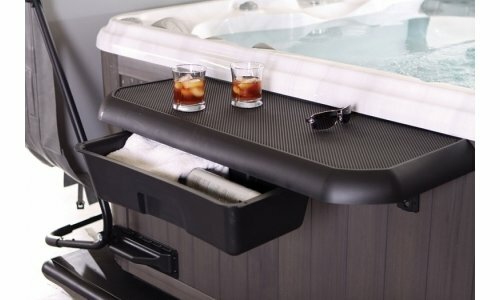 Customers can safely put drinks, phones and spa accessories within arms reach with the SmartBar.